Dr Ibrahim Ulman is a professor of pediatric surgery/pediatric urology, working in Ege University İzmir, Turkey. He completed medical school and surgical training in the same university. He worked as a research fellow under Prof. Marc I. Rowe in Pittsburgh, PA in 1991. He received Stecker Scholarship in 1998 for pediatric urology training under Prof. Stephen Koff in Nationwide Children’s Hospital, Columbus, OH. He worked with Dr. Rien Nijman in Pediatric Urology Dept. of Sophia Children’s Hospital, Rotterdam, and Mr. Christopher Woodhouse in Adolescent Urology Unit in UCL, London as a scholar. He published over 100 scientific articles and bokk chapters. He served as the founding member and president of Turkish Association for Spina Bifida, and Turkish Pediatric Urological Society. He is the former president of The Society for Pediatric Urology in Turkey. 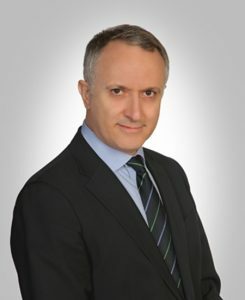 He organized many scientific courses and workshops including Pediatric Urodynamics, Wetting in Children, Imaging in Pediatric Urology, Antenatal Hydronephrosis, Operational Course on Vesicoureteral Reflux, and Operational Course on Hypospadias Surgery in Izmir. He was invited as a lecturer and as a visiting professor to perform live surgery to different centers internationally.